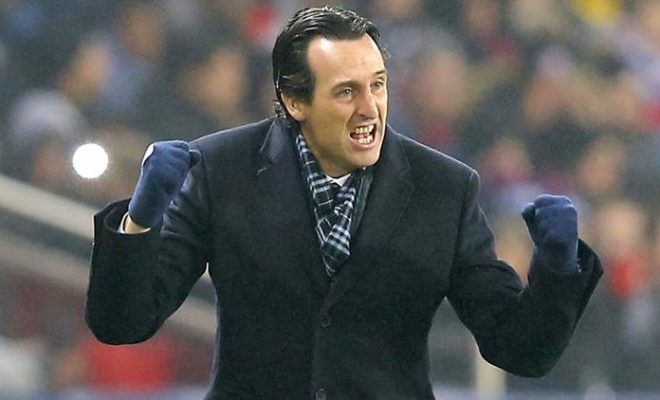 Arsenal begins life under new manager Unai Emery against Manchester City and the Spaniard has revealed his intent to bring a proactive style to the Gunners. Emery is expected to bring a pragmatic approach away from the expansive style of Arsene Wenger. The Spaniard revealed to reporters that the style of the Gunners this season would be as protagonist with the ball. He also wants to bring high press and organization would be key to achieving the desired goal. The defence has always been the problem of the Gunners, Arsenal leaked a premier league-high 57 goals last season. Emery has already strengthened the defence bringing in Greek defender Sokratis, German stopper Bernd Leno, Veteran full back Lichtsteiner and enforcer Lucas Torreira. Emery also revealed that quality players and time would be needed for Arsenal to achieve the set goals. The Spaniard believes that he has quality players to take the team to the top 4 this season following the disappointment of last season. When we are thinking in an attacking moment, I want the goalkeeper thinking for that, he is the first. “The same when we are thinking defensively, I want our strikers to be thinking: ‘We need to protect the goalkeepers.’ I want those two moments to feel the same for all players. Arsenal have a tough beginning to the season, facing Manchester City and Chelsea in their first two matches of the season. However, Arsenal fans are hopeful that Unai Emery would bring back the glory days to the club after a disappointing few years. Efin eeediot,,, No team with Ramsey and Dhaka in the middle can win the title. They are both of lazy and self centered.